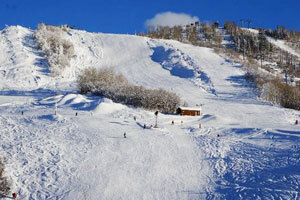 Find your own ski in and out by owner rental in Steamboat Springs-click on this link! Want to do a by owner search for yourself? Check VRBO/Homeaway! Or see our handpicked rentals below! By Owner Rentals are a wonderful way to head to the slopes! You get a full kitchen, much more space and in all a quality experience. 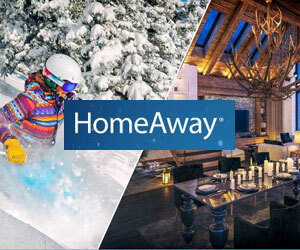 We partner with Trip Advisor and Homeaway. If you are bringing your pet and want to find petfriendly restaurants, daycare, local parks, check out www.petfriendlysteamboatsprings.com ! Storm Meadow #411 -2 bedroom, 2 bath, slps 6, from $140/nt -- Book it! Trip Advisor #FKN2173299 - Ski-In / Ski Out from this fantastic top floor 2bed/2 bath condo in Storm Meadows Club C. Enjoy vast, mountain and valley views from this recently remodeled mountain retreat. 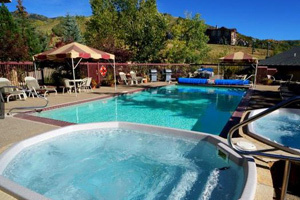 Relax in the hot tub or outdoor heated pool while taking in a magical valley view. Amenities include: spacious accommodations with vaulted ceilings, new quality furnishings, sleeps 2-6, (1 King Bed, 2 twins, 1 queen sleeper sofa), 2 flat screen TV's, DVD / Blu-ray player, moss rock fireplace, deck with incredible views of the Ski mountain and Steamboat, ski storage locker, elevator, sauna, and laundry room on site. 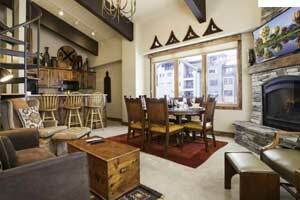 Private shuttle access, a large assortment of restaurants and apres' ski meeting places are close by. The Storm Meadows complex also includes a complete spa facility with heated outdoor pool, hot tub, sauna, weight room, and exercise equipment. Torian Plum #303-2 bed, 2 bath, slps 6, from $165/nt- Book it! Trip Advisor #FKN2173425 - Located just steps from the slopes of The Steamboat Ski Resort (true ski in/ski out), you can be one of the first in line at the gondola to experience one of our legendary 'champagne powder days! You also don't have to worry about finding a parking spot in the morning, walking too far in your ski boots, or waiting on that shuttle that never seems to be on time! When your legs have had enough for the day, venture back to condo and soak in one of 4 outdoor hot tubs (2 indoor as well), take a dip in the heated pool that overlooks the ski mountain, or warm your toes in front of the gas fireplace. 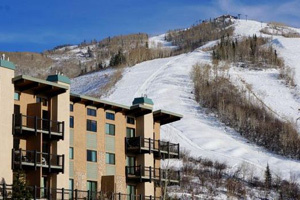 For those that might need a break from the slopes, this condo is situated in the heart of Ski Time Square where exclusive shops and restaurants will be waiting for you. Walk to Skiing or Bus from Private Home on 3/4 Acre Lot / Senior & Pet Friendly! 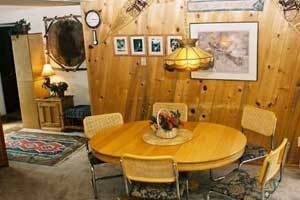 - Sleeps 8 - 3 bdrm - 2 ba - ave nightly $292 - Book it! Storm Meadows Christie at the Base-3 bed, 2 bath, slps 8, from $175/nt- Book it! Trip Advisor #FKN2173404 -Panoramic mountain and valley views from this fantastic Ski-In condo will leave you speechless. Top floor 1,225 sq. ft. 2 story property is just steps from the Ski mountain, Ski Time Square, fine shops and a large assortment of restaurants and local bars. Numerous activities are right outside your door, including miles of hiking and mtn biking trails, fishing on the Yampa or Elk River, or work on your golf game at one of several local golf courses. Designer details enhance an exceptional Western mountain atmosphere. Newly refurbished including heavenly mattresses for a great night's sleep. Amenities include: spacious sunny accommodation with vaulted ceilings, unique Western decor, quality furnishings, sleeps 8, large Master with king bed, queen + twin bed in second bedroom, bunk beds in the 3rd bedroom, 2 televisions, DVD/CD player, two-story moss rock fireplace, deck, ski storage locker, elevator, hot tub, washer/dryer in the condo, and a short walk to the city's free shuttle. 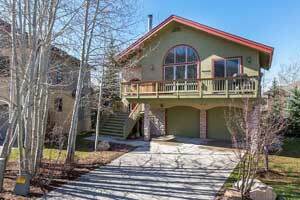 Beautiful Single-Family Home; Walk to Gondola! - sleeps 12- 4 Bedrooms - 3 Baths - ave nightly $384 - Book it! VRBO-819246 -Beautiful single-family vacation home located on a trail just a short walk to the gondola and Ski Time Square! Perfect mountain vacation getaway for 1-3 families. Wood-burning fireplace and large well-appointed kitchen for entertaining. There are four bedrooms plus a den, as well as two decks with a hot tub as well. Televisions in every room provide guests some alone and down time. Kids have built a sledding hill in the backyard. A heated two-car garage and long drive way accommodates plenty of room for parking, or space for the ping pong table too. 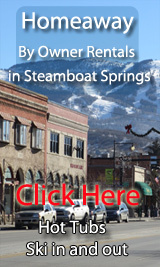 Steamboat Springs By Owner Rentals- Our Blog!